Welcome to Lore Seeker, a series devoted to the legendary creatures left by the wayside of Magic story. In this series I analyze a legendary creature card in depth, one that does not have much mythos surrounding it. I consider everything from the name and mana cost to the art and flavor text, extracting the essence of the card and applying that essence liberally to the deck. I also investigate a play style that fits the flavor and personality of the commander. For this installment, we’re building around Zo-Zu the Punisher. In this edition, I’ll construct a deck that falls more in line with the average Zo-Zu deck on EDHREC, but also shows that every deck has a little wiggle room. I hope it will also demonstrate that Vorthos decks don’t have to be janky and obscure to get a theme across. Zo-Zu was a recluse who wandered the Sokenzan mountains. Through his travels he acquired a set of crystalline swords that let him deflect and control large amounts of raw mana. He is a scourge to all who travel in the mountains. 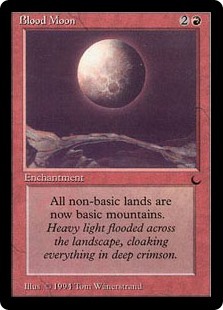 Following these very few tidbits lead me to a few places; the Sokenzan mountain range (on top of being mono red) points to a “mountains/red matters” theme with Blood Moon/Magus of the Moon, Nykthos, Shrine to Nyx, and Fanatic of Mogis as some of the main highlights in that package. 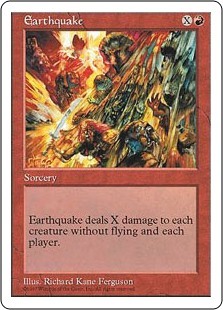 His manipulation of raw mana pushes me to use X spells (cards like Earthquake that convert mana into damage) as win conditions, and efficient, low input/high output spells such as Pyroblast, Red Elemental Blast, and Lightning Bolt as an embodiment of Zo-Zu’s connection with red mana. While searching for an artifact that could represent his swords, I first went to the “Sword of” cycle. Sword of Fire and Ice and its kin are very powerful, but they are also quite pricey and didn’t seem worth the cost. (If you want to build the deck and think the cost is worth it, I would specifically look at adding the ‘protection from red’ swords, as they will grant the equipped creature immunity to your own red (damage based) board wipes, such as Blasphemous Act and Chain Reaction.) 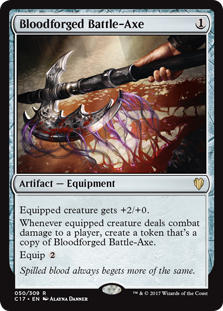 As a budget alternative to the swords, I chose Bloodforged Battle-Axe. The efficient cost and multiplying nature of this artifact spoke to me as an interesting way to have two swords represented by one artifact, on top of that, the more you deal combat damage, the stronger they get. Punish: to damage or hurt. In deckbuilding terms, a punisher deck hurts people for playing the game, flipping our opponents’ advantages into their doom. Zo-Zu’s particular brand of punishment harnesses the power of land and directs it to that land’s controller. 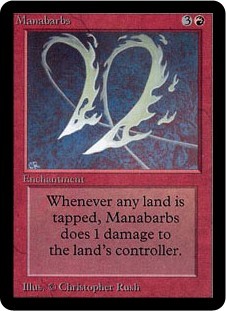 Ramp (spells that increase the amount of available mana, the namesake being Rampant Growth) is an under-punished piece of Commander games, so we are going to lean into land hate. The idea of this fits with our Blood Moon “mountains matter” package, as it is another way to turn our opponents’ permanents against them. 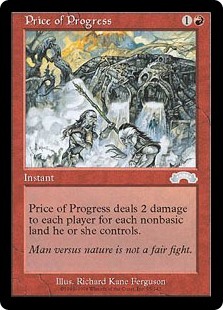 Let’s focus on some other ways to punish the greed of our foes: Price of Progress has a flavorful name and competitive mana cost. 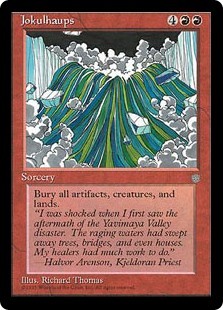 I’ve added Isochron Scepter as a dream scenario for Price of Progress, along with a large handful of other removal and disruption pieces that fit under the Scepter for insane continual value. 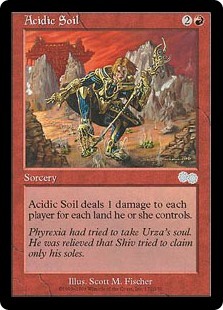 In the same punishment vein, Acidic Soil will hurt the players adding extra lands to the board more than the honest, hard-working players that only make one land drop per turn. These are great one-shot effects and either can close out a game, but what about through the mid-game? Zo-Zu is not going to be enough on his own. He needs support from his molten territory. 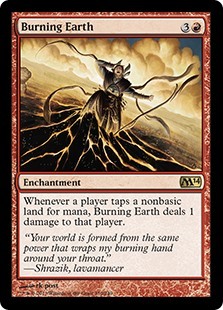 Manabarbs and Burning Earth are going to hold the lands on the board hostage; toss in Mana Web and let the fun begin. Red wants freedom. Following strong emotion, red wants to act based solely on their heart’s desires. Red is tricky and relentless and can manipulate the emotions of others to interfere with even the most carefully laid plans. Zo-Zu is a nomad, traveling his land at his leisure. He lives a life of freedom and solitude and will do everything to protect that lifestyle and his territory. If you are unfortunate enough to stumble upon his path, you are sure to perish, because he will act first and ask questions after you’re dead. On the other hand, if he is the one to stumble upon you in his mountains, he will use tricks and surprises to his advantage. Embracing his solidarity, I decided to make this a creature-light build. He doesn’t want many other critters running about or getting comfortable in his mountains. 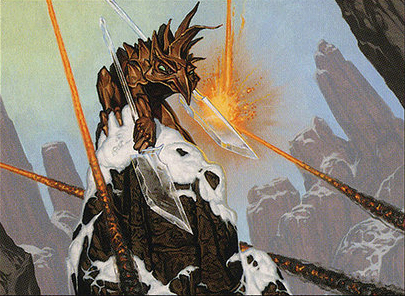 A spiky Goblin perched on a snow-covered boulder, deflecting a spray of molten rock with clear, crystal blades. Zo-Zu’s territory in the Sokenzan mountains is within the higher reaches. 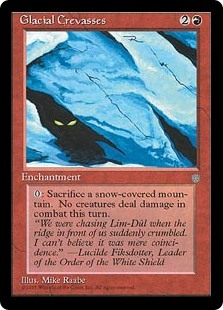 Snow-Covered Mountain is the clear choice for the basic lands in this deck, and we are running a large number of them (30, in fact). 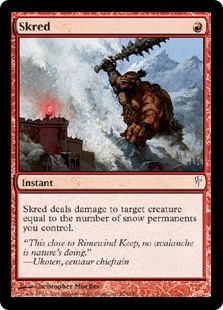 To give us more of a reason to play snow-covered lands, I added a few synergies: Skred, Extraplanar Lens, and Glacial Crevasses. Glacial Crevasses not only cares about the lands, but also provides a valuable protective hovel for our Goblin friend. Following the perilous pass of this harsh snowy landscape lead me to something I didn’t expect in the mountains: a Goblin Snowman. I want to use this Snowman all the time now! 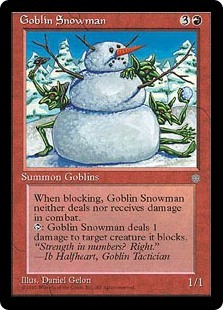 Fog Bank is in 5,160 decks while Goblin Snowman is in only 163 decks on EDHREC. Fog Bank has a slightly better cost and can block flying creatures, but the Snowman has its advantages as well. Plus, it’s far cuter. Zo-Zu lives on Kamigawa, Magic‘s Japanese-inspired plane. On Kamigawa, Goblins are called Akki, which derives from the Japanese word for ‘devil.’ Akki are small, wiry Goblins whose defining features are their small horns, long pointed noses, brown/red coloring, and most notably, their large turtle-like shells covered in short spikes. They are highly territorial and mischievous creatures. To honor the translation, I added Sin Prodder and Bedlam Reveler as card draw options. Sin Prodder fits with the punisher theme as well, and Bedlam Reveler fits the noncreature heavy theme. I can think of another highly territorial set of creatures that live in the mountains: Dragons. 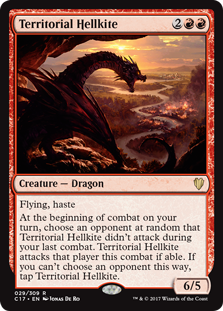 Territorial Hellkite is the embodiment of this idea, and it fits nicely in our mana curve. Slumbering Dragon is an on-theme one-drop that will point aggression elsewhere. Avaricious Dragon is territorial and greedy and supports the synergy of having zero cards in hand for use with Ensnaring Bridge. 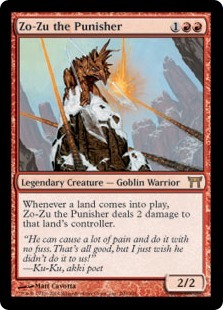 The connection Zo-Zu has with raw mana is so deep that he is able to cause your opponents damage from their own mana sources. 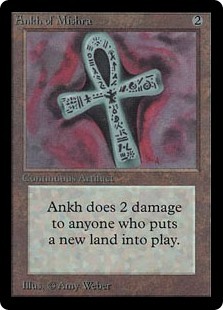 The other card that does this exact thing is Ankh of Mishra. There are, however, a couple cards that do a similar thing. 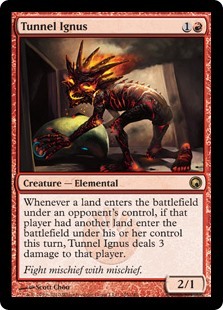 Tunnel Ignus gives us a turn two play, which in this deck is very important, so if we can’t get Zo-Zu out early, this is a good substitute. Why is it important to have early ramp hate? According to EDHREC, three of the top four most popular green cards are Cultivate, Kodama’s Reach, and Sakura-Tribe Elder. I’m sure you’ve seen these around. Every deck is going to run ramp of some sort, most of which is land based, and they are going to do it early, on turn two and/or three. Zo-Zu believes there should be a price to that acceleration. Zo-Zu is not in the business of making friends, this little poem tells us that he will cause pain to his own kind just as often as he does to others. We have to embrace that, so it’s time to talk land destruction. 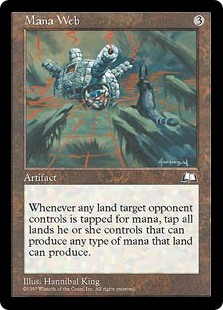 Probably the most widely hated and frowned upon abilities in the game, mass land destruction (MLD) is basically the Magic reset button. It will likely also cause your friends a lot of pain. Given my self-appointed title of “monster,” I am not afraid of this ability (in fact, I love it). It does not belong in every deck, and it is quite hard to play with correctly, as it often backfires. The best spell in this category for the deck is From the Ashes. 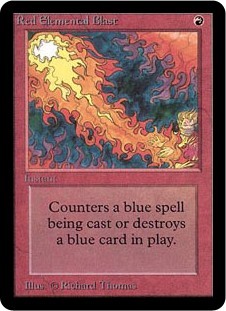 This is one of the nicer MLD spells, since it can replace the lands lost. 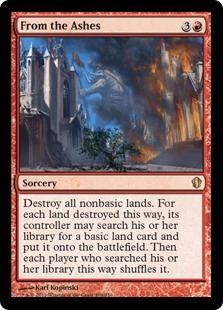 However, with Zo-Zu out and a board full of nonbasic lands, From the Ashes can either deal an immense amount of damage or leave your opponents with little to no land. A couple other highlights in MLD are Ruination, Jokulhaups, and Impending Disaster. This deck ended up being a bit more expensive than the average deck I usually build, by an amount of almost $100. This is mostly attributed to the addition of the snow-covered lands. Snow-Covered Mountains have been creeping up in price since 2015 and are the most expensive of the snow-covered lands, sitting around $3.50 each. 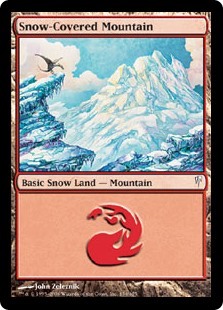 It is an expense that I found necessary for this flavorful build because they are Zo-Zu’s habitat, but if you wanted to build your own version, a regular mountain works just fine. With winter closing in, this snowy creation really demonstrates the pain that winter can bring. Zo-Zu has a very specific playstyle in a color that supports that style very well. I normally prefer the nuance a multicolor creature offers, as there is a bit more flavor and color philosophy to analyze for the deck, but this was certainly a fun experiment. Hopefully you enjoyed the deck and felt inspired to add a card or two to your own decks. 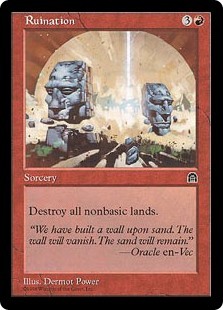 I enjoyed creating it and delving deep into the Glacial Chasm that is mono-red. As always, I would love to hear your thoughts! What did I miss? What would you add? Have you ever built a story into your commander decks? Let me know down below.